WAKE UP REFRESHED - Our Eden pillow provides better neck support while you sleep. Our gusseted design prevents pillow pinch (when the edges of your pillow slope together and fill gets pushed out from under your neck). With the Eden pillow, you have maximum pillow support, allowing for edge-to-edge support and helping you get the refreshing rest you need. DON'T ADJUST TO YOUR PILLOW - YOUR PILLOW SHOULD ADJUST TO YOU - Featuring our patent-pending adjustable design, the Eden pillow can be adjusted by you at home and puts its customization in your control; you don't need to send your pillow to the manufacturer and wait for them to adjust it. 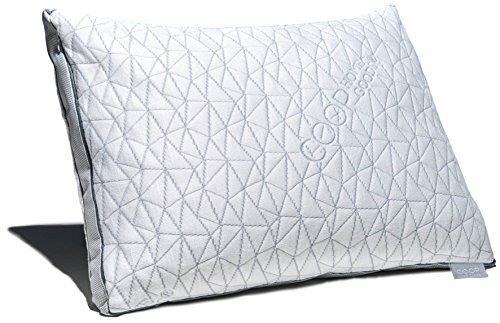 Our Eden pillow features a zippered inner and outer cover, allowing you access to its proprietary fill and the ability to add or remove as much of it as you need to meet your own unique needs. Softer Than Silk: Ready for restful, refreshing sleep? Sink into these sumptuous sheets. Made of premium double-brushed microfiber, they're blissfully soft & smooth. No other bedding compares! Stronger Than Cotton: With their ultra-tight knit, these luxury sheets won't rip or tear after washing. More durable AND breathable than cotton, they resist stains, fading, wrinkles & dust mites. 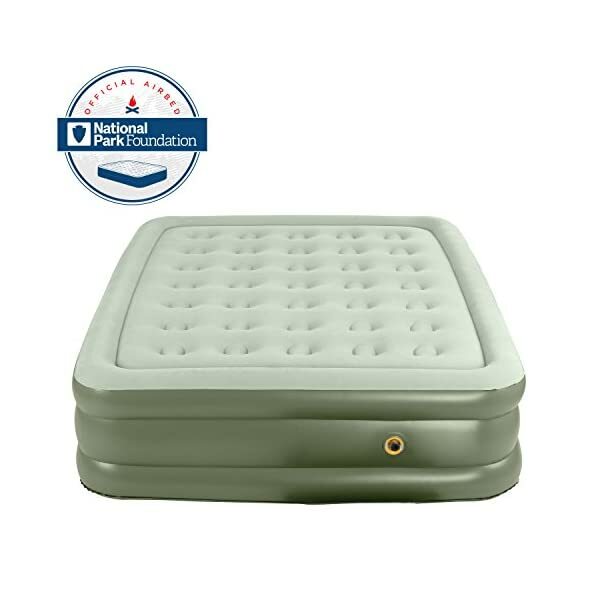 Ideal for Today's Deep Mattresses: "Pillow-top" bed? No problem. 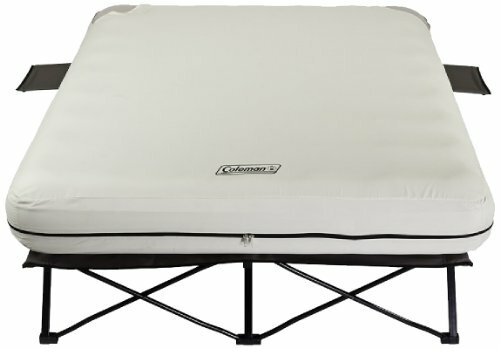 Our deep-pocket fitted sheet fits up to 16" mattresses. Plus, it's elasticized all around, so it'll stretch taut & stay put all night. 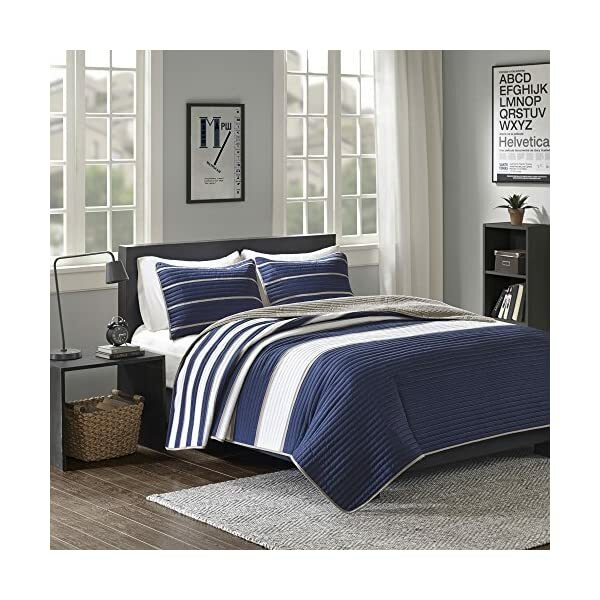 Twin sheets dimensions: Flat Sheet 96" x 66", Fitted Sheet 75" x 39", Pillowcase 20" x 30". 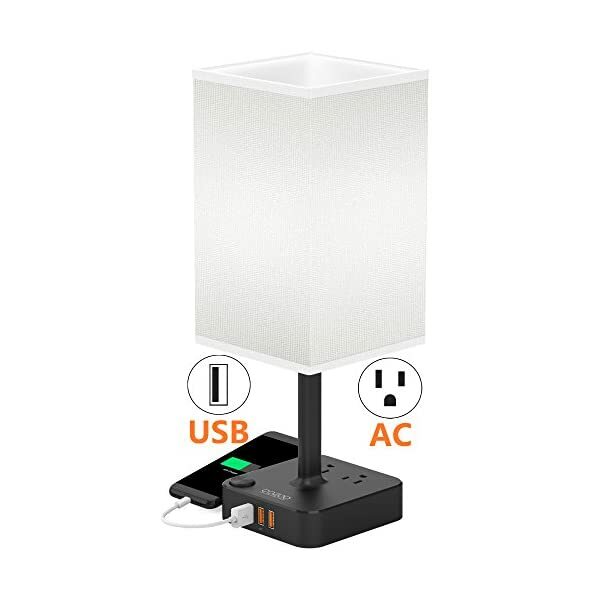 CONVENIENT DESK AND TABLE LAMP: The base of this decorative and unique desk and table bedside lamp contains 3 USB port and 2 outlets power strip so that you can charge your mobile phones, tablets, kindle readers, laptops, and other electronic devices. The USB port functions regardless of whether the lamp is on or off. It will look beautiful in any contemporary home or office. 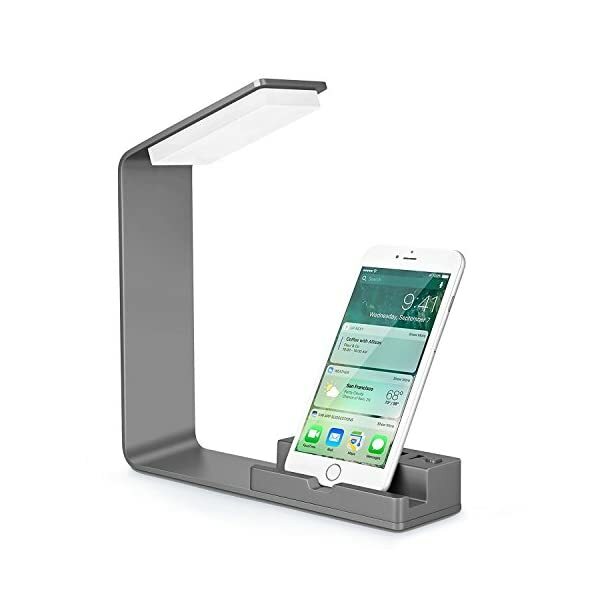 MINIMALIST DESIGN-- COZOO nightstand lamp comes with sleek fabric shade and the Fireproof plastics power base, creating a warm and cozy feelings for your home. Perfect for end table,dinning table,coffee table, office, bedroom.This bedside desk lamp can be used with standard e26/e27 led bulbs(included 3w bulb). CHARGE 3 DEVICES AT ONCE: This charging station stand can charge up to 3 devices (such as iPhone, Smartphone, Samsung Galaxy, Nexus, etc) simultaneous maintaining your devices,Smart Charging Technology to charge up to 5V/2.4A Max per port for a total of 6 Amps, and each port can automatically detect your device. This is the best charging companion for your Apple watch, iPhones and other USB devices. Made of 100% Polyester micro plush material at 280 GSM. LIMITED TIME FREE BONUS: Our Luxury 6pc Sheet Set includes 2 BONUS PILLOWCASES free with purchase for a total of 4 Pillowcases! But the value doesn't stop there; unlike our competitors Our Fitted sheet is FULLY ELASTICIZED to ensure a secure fit with DEEP POCKETS (up to 16inch) to fit todays mattresses! 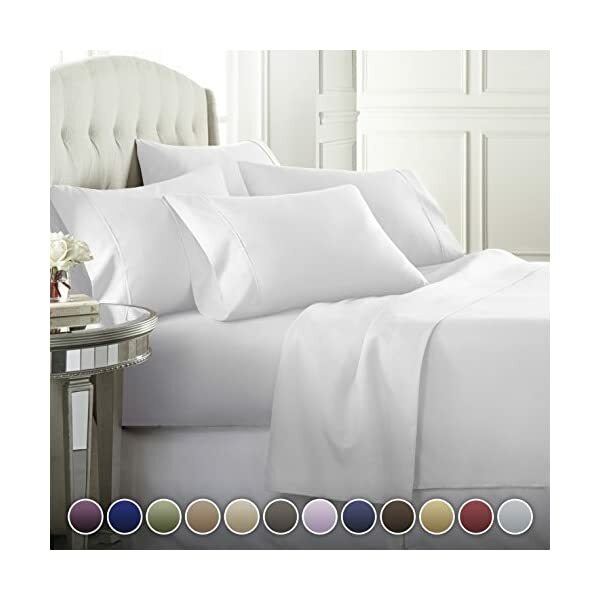 6pc Queen sheet set Includes: (1) Flat Sheet 102"x90", (1)Fitted Sheet 80"x60", (4) Pillowcases 20"x30"
5 STAR HOTEL BEDDING EXPERIENCE: Luxuriously soft & Remarkably Durable our Hotel Style Sheet Set is crafted from ULTRA SOFT and ULTRA DURABLE microfiber fibers! Our proprietary weaving process creates a fabric that is softer and more breathable than 100% Cotton. Designed exclusively to not fade with washings! HYPOALLERGENIC, WRINKLE & FADE RESISTANT: Our Hypo Allergenic Bedding Set is constructed from tightly woven fabric that repels dust mites and makes this an ideal solution for Allergy sufferes. EASY TO CARE FOR, MACHINE WASHABLE. CUSTOM MOLDED EARPLUGS: Easily and quickly fitted to the exact shape of your ear. This creates a perfect fitting earplug that will never hurt, never fall out and provide superior noise isolation. EASY SHAPE SYSTEM: Simply heat the Decibullz thermoplastic molds in boiling water, let them cool for a bit, and shape them to your ears. 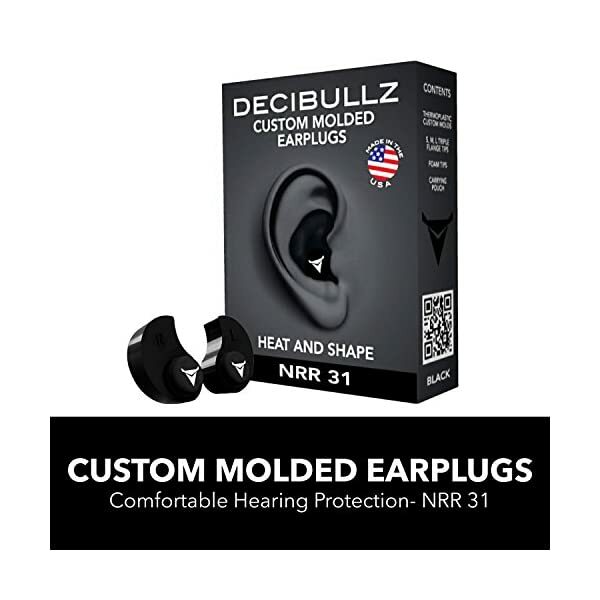 That's it, and If you don't get the perfect fit the first time Decibullz are the only custom earplugs that are re-moldable. PERFECT FOR ANY SITUATION: Decibullz are perfect for shooting, traveling, working, loud concerts, and safety. 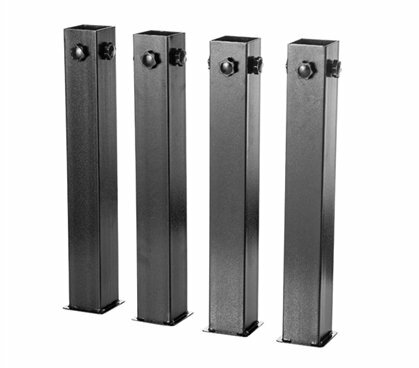 Raises your bed over 23.5", which is 4X the height of standard plastic, cheap bed risers. Ultimate Height Bed Risers all you to fit hampers, a mini-fridge, drawer organizers, suitcases, trunks and much more all under your bed! 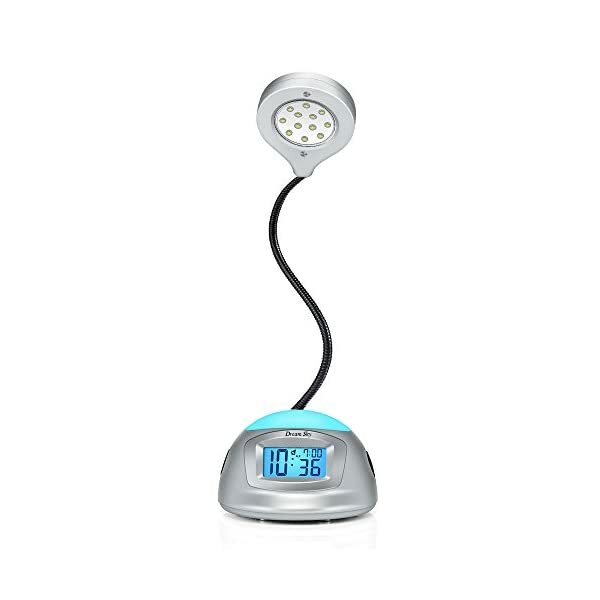 Rich In Features 3 -in-1 Clock : Small Alarm clock with desk lamp and beautiful mood light. Current time and alarm time display. Not only serve as alarm clock for kids but also act as study or reading table lamp. Color Changing Light : 7 beautiful and highly ambient cycling color nightlight . It can set to change colors gradually ,or to remain to a solid color to match your decoration. 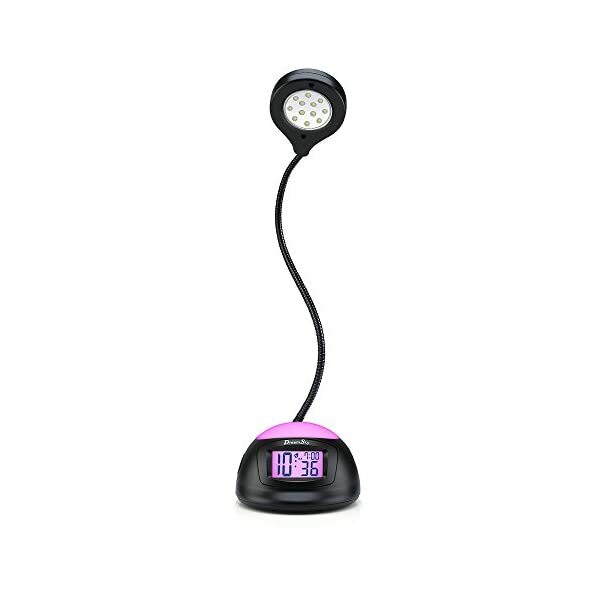 Great for a nightlight or therapy light . Ascending Alarms With Snooze : Ascending beep alarms will wake you up gently . 8 minutes interval snooze can be repeated to one hour . 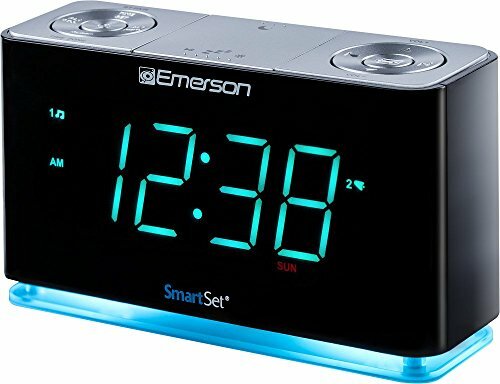 Simple to push the alarm clock down to use snooze.. You are easy to stop the alarms with the oversize ON/OFF button while in half sleep . DreamSky Small Alarm Clock with Desk Lamp,7 Color Changing Mood Light, USB Port for Cellphone Charging, Snooze, Outlet Powered with DC Adapter Included, Batery Backup. 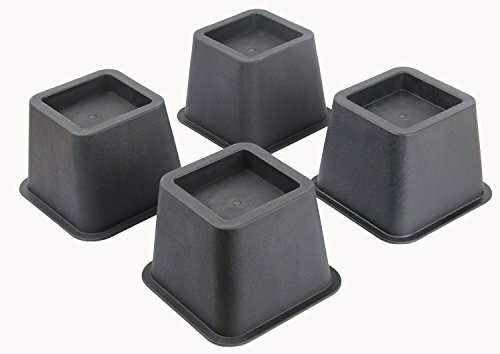 Bed Risers System Instantly Creates Additional Height of 3 inches(approx)Under Bed Storage, And has a maximum bedpost diameter of 2.75 inches(approx).These Bed Risers are not Adjustable. Bed risers may be stacked together when not in use. 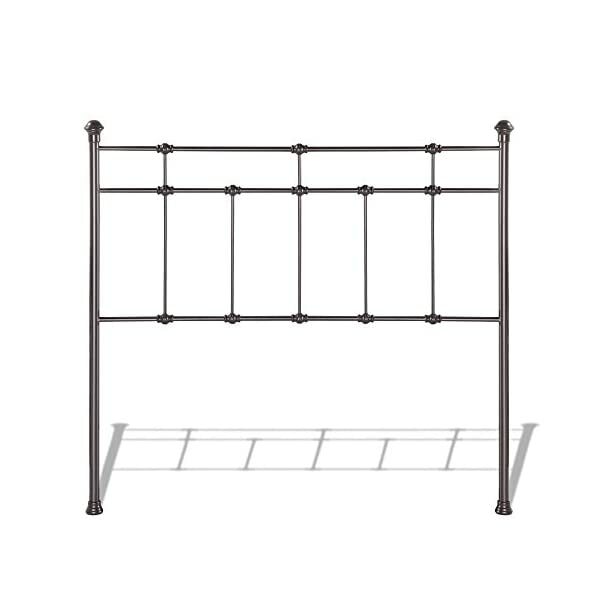 Prior to making purchase decision to determine whether this bed risers size is suitable for you. 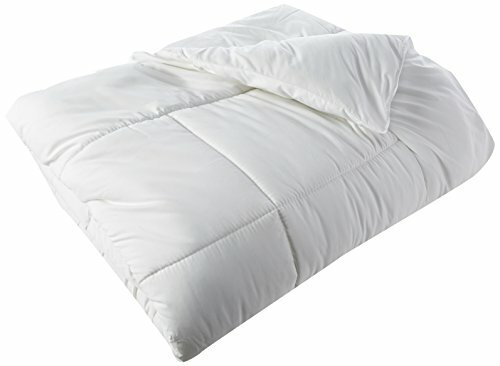 #1 LUXURY GOOSE DOWN ALTERNATIVE COMFORTER ON AMAZON - Super plush and comfortable, warm for ALL YEAR ROUND USE. 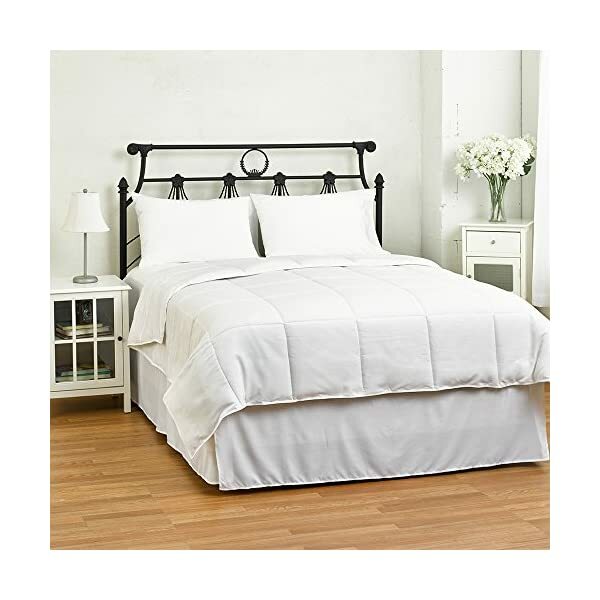 The ultimate best choice, most comfortable comforter on Amazon, more than a basic comforter set this comforter is beautiful, silky soft, luxury & smooth creating the most soothing and relaxing sleeping experience. Also used for a Blanket, Quilt & Throw. FULL / QUEEN SIZE MEASURES 86" X 86" INCHES. - LUXURY BOX STITCHING - Special designed to avoid any shifting. Great addition to any bedroom set, bed in a bag, bed sheets, duvet covers. Wonderful birthday bedding gift idea for men, women, mom, dad, teens, girls, boys, or any loved one. 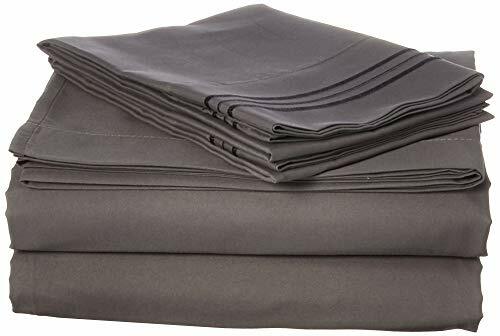 100% SILKY SOFT BRUSHED MICROFIBER FABRIC - Made of high quality double-brushed microfiber grains, ultra comfortable and super strong linen for years to lasts. Excellent Christmas, Thanks Giving, Mothers & Father Day, Holiday Gift Idea. MATERIAL: 100% Hypoallergenic goose down alternative poly fiber provides the comfort and warmth of real down without the poking and allergies. Shell is constructed using 230 thread count microfiber material. 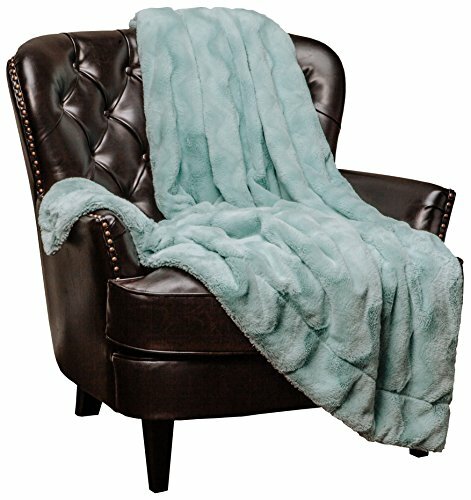 QUALITY: Brushed fabric gives superior comfort against your skin; siliconized fiber fill keeps you warm but is still durable enough to last many seasons.